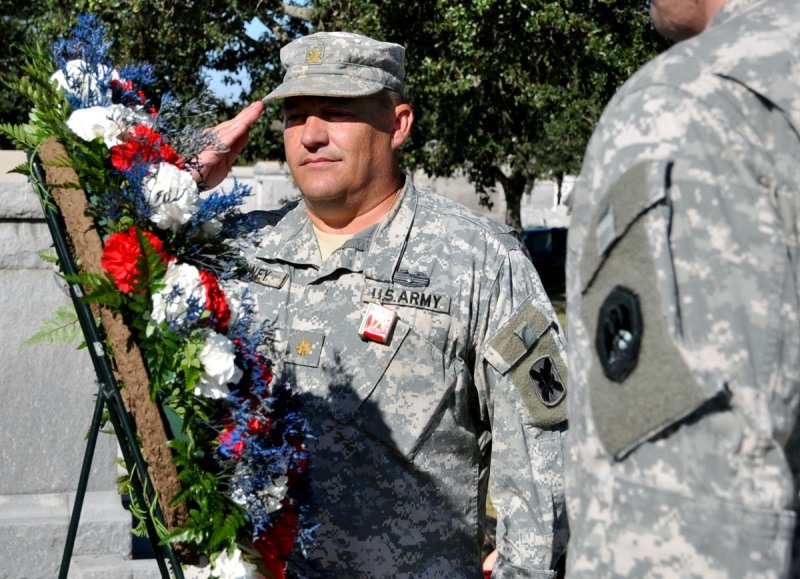 NEW ORLEANS – The Louisiana National Guard’s 1-141st Field Artillery Battalion (Washington Artillery) paid tribute to its fallen Soldiers during a wreath-laying ceremony near the unit’s monument at Metairie Cemetery in New Orleans, Oct. 15, 2011. “It is a great honor to be here to remember those who have served and gone before us,” said Maj. Steven M. Finney, commander of the 173-year-old unit headquartered at Jackson Barracks. 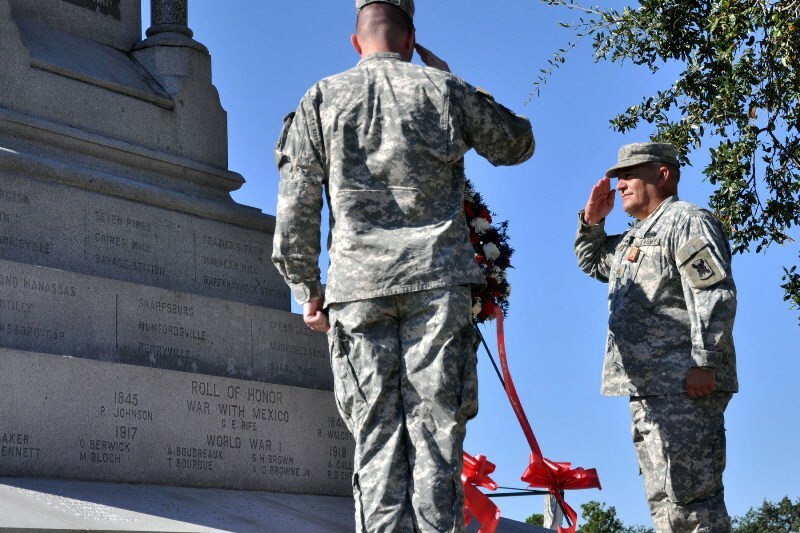 The ceremony, started in 1965 by the Washington Artillery Veterans Association to honor the heritage of the regiment’s past, gives the LANG an opportunity to celebrate the importance of the National Guard in general and to recognize the notable achievements of the Washington Artillery. 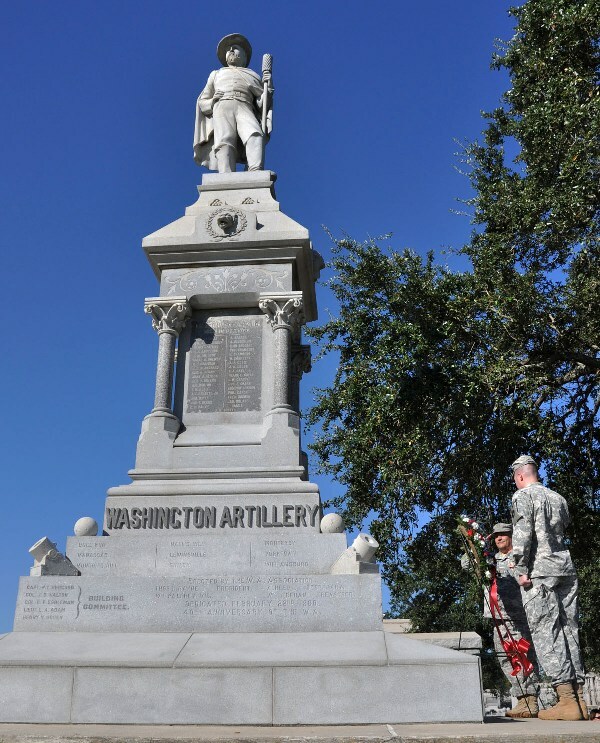 The Washington Artillery is the oldest militia unit in Louisiana and the oldest Field Artillery Battalion outside the original thirteen colonies. 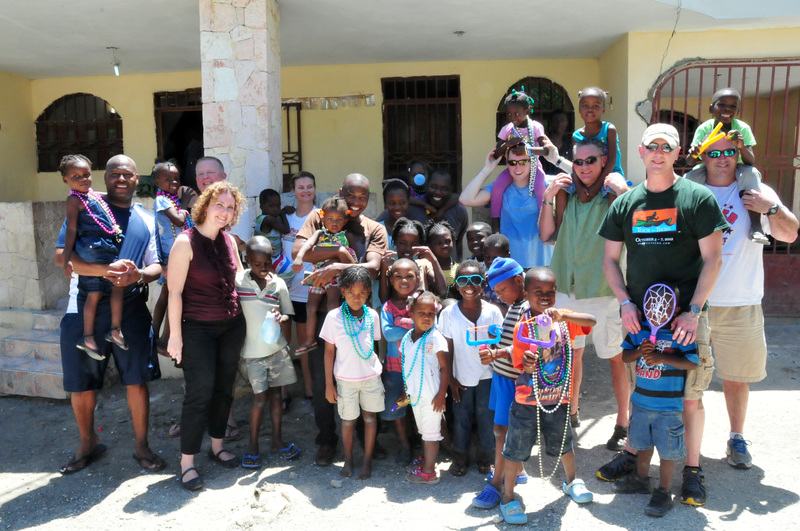 It has a long and storied history in the state from its involvement in emergency operations such as Hurricanes Katrina and Rita to its involvement in the Civil War and recent two deployments to Iraq in support of Operations Iraqi Freedom and New Dawn.